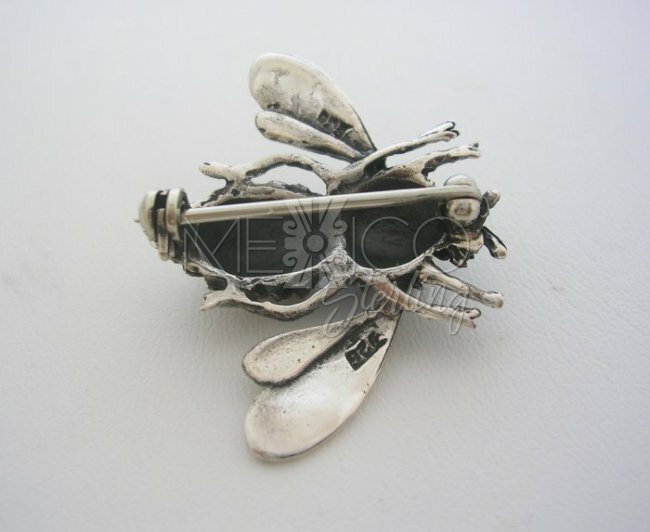 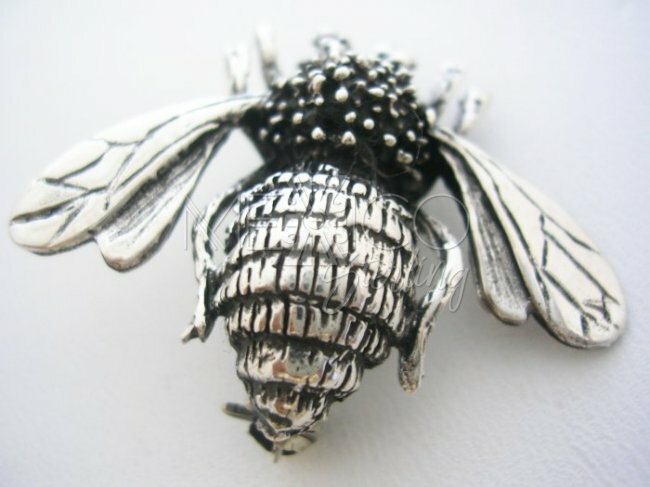 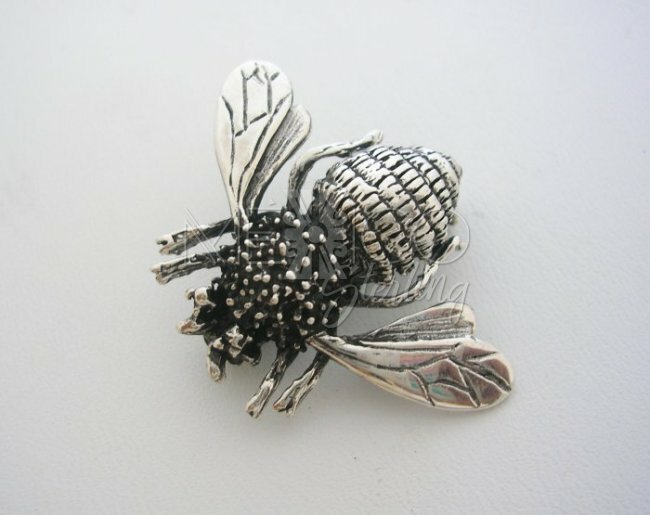 Unusual Jewelry, Sterling Silver bee Pin Brooch [PNBR2601] - $42.00 : Mexico Sterling Silver Jewelry, Proundly from Mexico to the world. 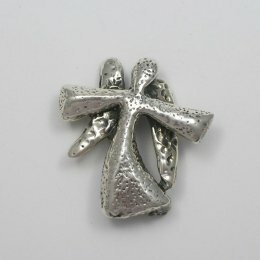 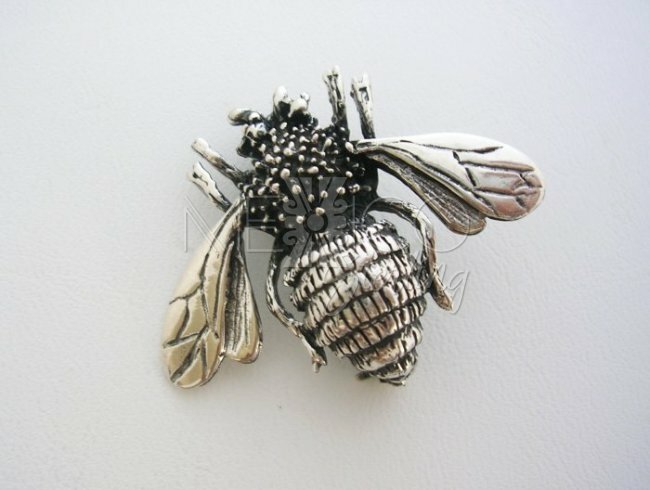 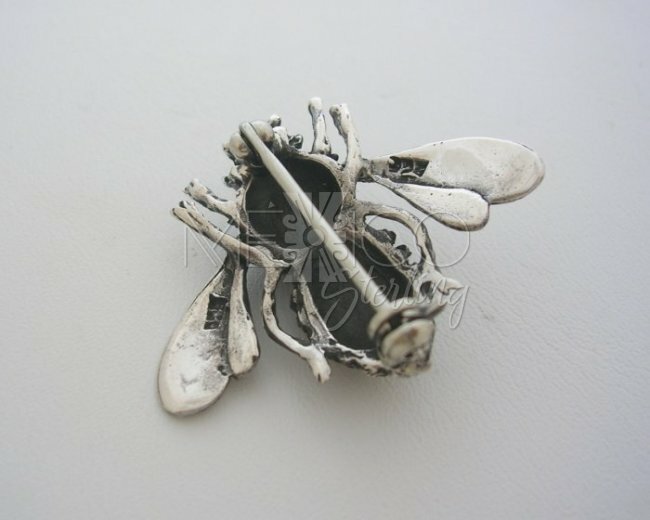 Dimensions: Width : 1 3/8" Length : 1 1/8"
Unique silver bee pin brooch,with a very creative design. 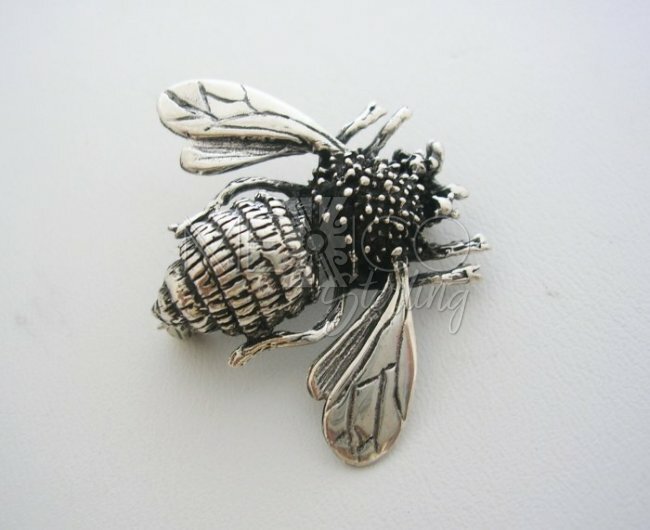 It is without a doubt a collection piece that take your attention right away. 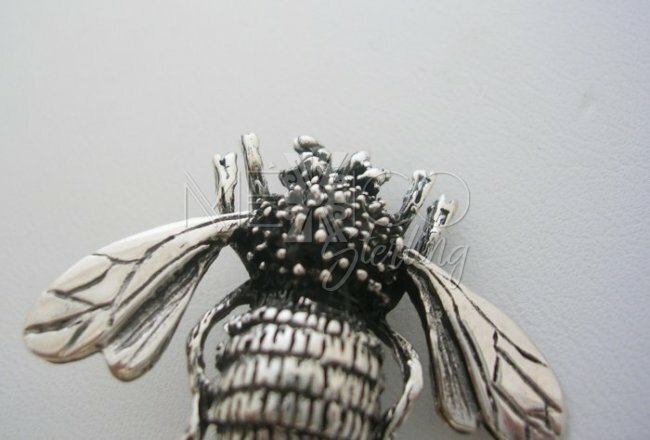 The work on this silver jewel is artistic and extremely detailed, a nice display that lets you see hair on its back as well as folds on their wings etc. 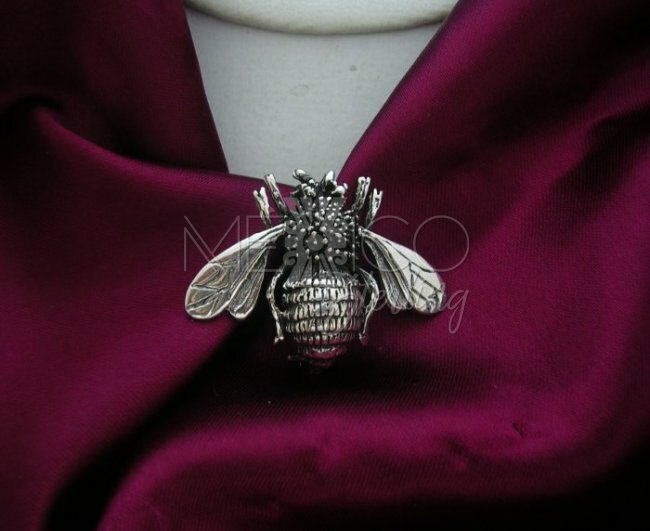 It also represents the wonderful creativity of these Mexican craftsmen that always find the way to amaze us. 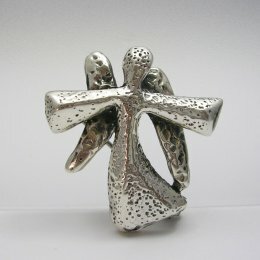 In just a couple words... "Taxco Ethnic Wonders"